MBS-Express offers premier courier and wine transport services in the Napa Valley from American Canyon to Calistoga and areas in between. Fast, responsive, and flexible, our van and trucks are standing-by ready to pick up and transport small and medium-sized shipments that are guaranteed to arrive at their destination clean, damage-free, and on time. Our Wine Transportation Services offer peace-of-mind when it comes to shipping your valuable business properties. Try MBS-Express and save 10% on your first delivery. Get a FREE quote today! Call now or complete the form below. What are the MBS-Express Transport Capabilities? Whether your delivery is urgent or not we are here to help. 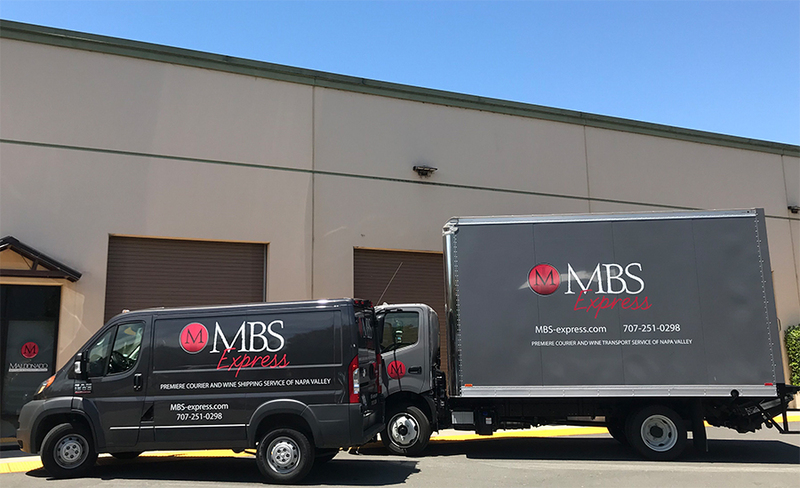 MBS-Express offers customized logistics support for Napa Valley businesses and wineries to better connect with suppliers and regional customers. MBS management has extensive experience in the wine industry. We understand the challenges the time and resource-consuming hassles of late deliveries, damaged samples, and disrupted production caused by less reliable transport companies. Our wine transport service offers the ability to make your business run smoothly. Our transport team is on call and at your service. Call now (707) 251-0298 or complete the form below for more information. Check: Check: Yes, I'de love to take advantage of the introductory offer of 10% off! Get updates, exclusive deals, and more on all things Maldonado. Thank you! Please check your email to activate your subscription!